Neymar has reportedly been told to snub interest from Real Madrid and move to Man Utd instead, by none other than former Barcelona teammate Lionel Messi. All the signs have pointed towards the Brazilian leaving Paris Saint-Germain in the summer in recent weeks, after just a year at the club. The Brazilian seems to have been disappointed with the level of football in France, and is genuinely considering a move away from the French capital. The decorated forward wasn’t even present as his teammates secured a fifth Ligue 1 title in six years, choosing instead to remain at home and play Online Poker on his laptop. Real Madrid have continued their long-standing interest in the forward, and are determined to sign him if the possibility arises. However, doing so would act as a massive stab in the back to his former club Barcelona, and he would definitely be on the bad books of the fans if the move goes through. 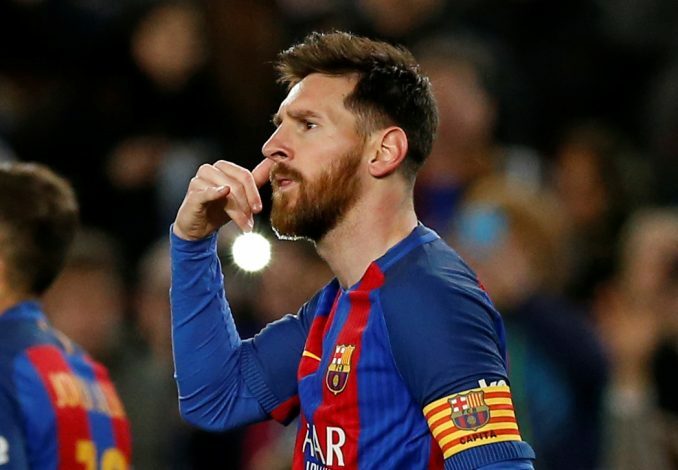 Hence, Lionel Messi, who is not just a former teammate, but also a good friend of Neymar’s, has told him to opt for a move to Man Utd instead, according to reports in Don Balon. Jose Mourinho has already stated that he would not be signing an attacking player in the summer, but a move for the 26-year-old could be too good to turn down, especially since the English giants have the money to do so. If they do move for him though, it would surely be the end of Anthony Martial’s or Marcus Rashford’s time at Old Trafford.